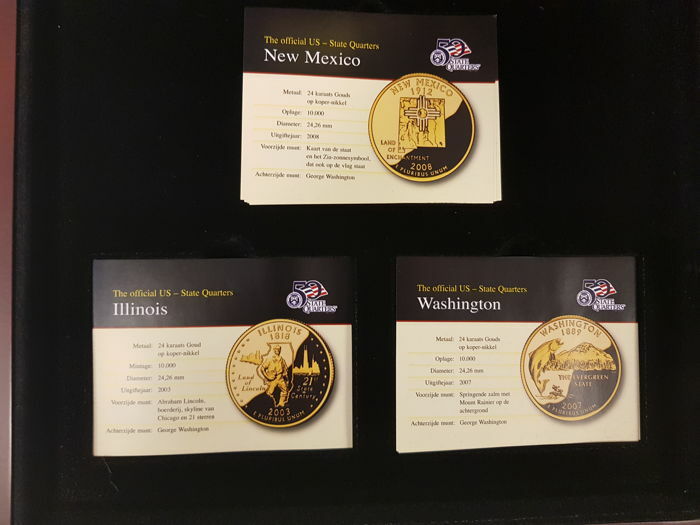 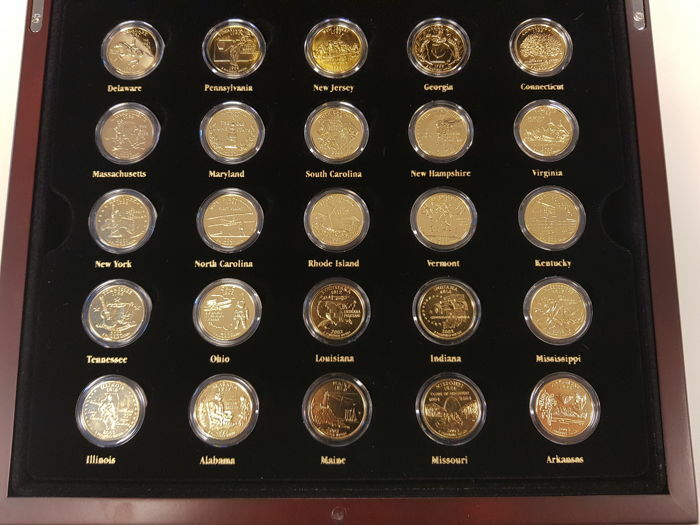 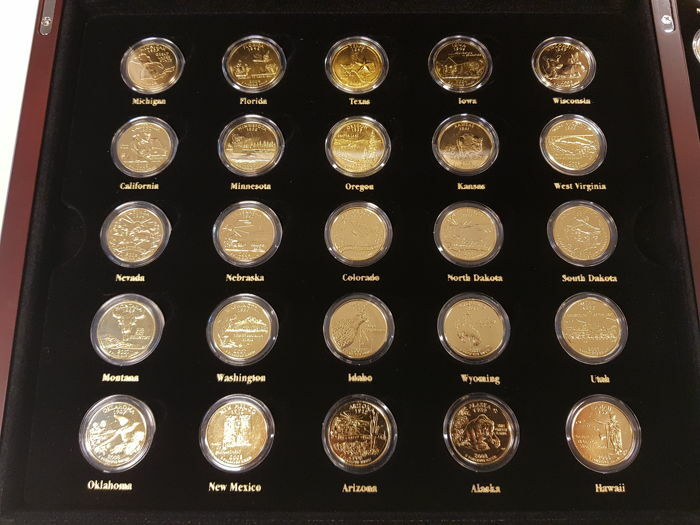 USA 50 States quarters, gold-plated, complete in a luxurious box with all certificates of authenticity. 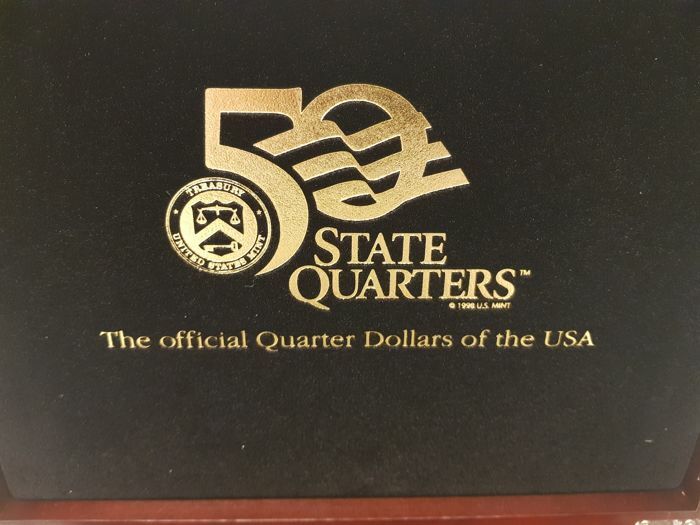 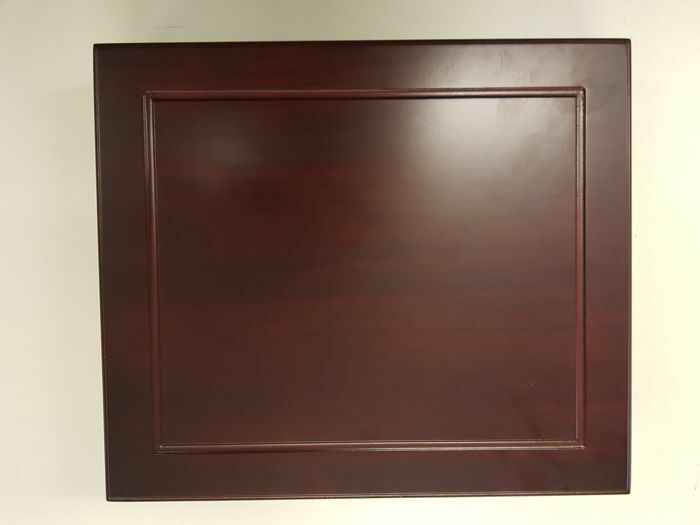 In a luxurious box 1999-2008 each year, 5 items. 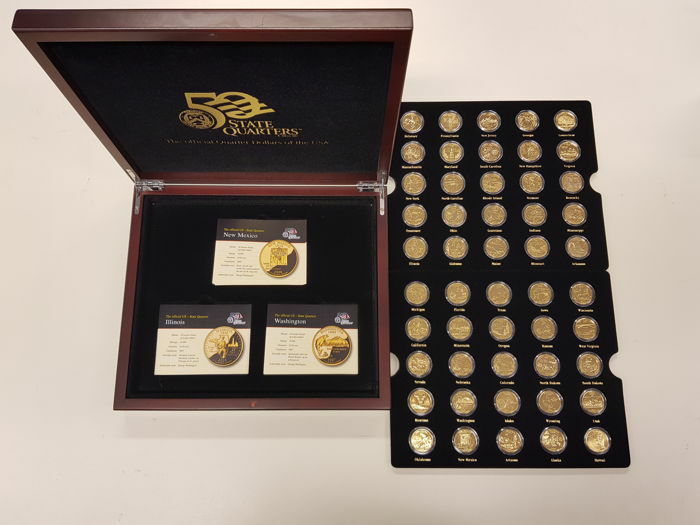 Gold-plated with 24 kt gold.